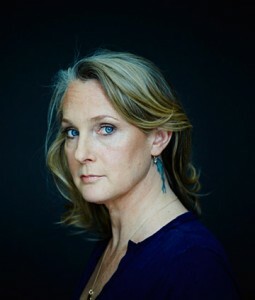 Piper Kerman is the author of the memoir Orange is the New Black: My Year in a Women’s Prisonfrom Spiegel & Grau. The book has been adapted by Jenji Kohan into an Emmy Award-winning original series for Netflix. Piper works with nonprofits, philanthropies, and other organizations working in the public interest and serves on the board of directors of the Women’s Prison Association and the advisory boards of InsideOUT Writers and JustLeadershipUSA. She has been called as a witness by the U.S. Senate Judiciary Subcommittee on the Constitution, Civil Rights and Human Rights to testify on solitary confinement and women prisoners, and by the U.S. Senate Governmental Affairs and Homeland Security Committee to testify about the federal Bureau of Prisons. Piper has spoken at the White House on re-entry and employment to help honor Champions of Change in the field, as well as the importance of arts in prisons and the unique conditions for women in the criminal justice system. In 2014 she was awarded the Justice Trailblazer Award from John Jay College’s Center on Media, Crime & Justice and the Constitutional Commentary Award from The Constitution Project; the Equal Justice Initiative recognized Piper as a Champion of Justice in 2015. Piper is a frequent invited speaker to students of law, criminology, gender and women’s studies, sociology, and creative writing, and also to groups that include the International Association of Women Judges, the American Correctional Association’s Disproportionate Minority Confinement Task Force, the National Conference of State Legislatures, the National Criminal Justice Association, federal probation officers, public defenders, justice reform advocates and volunteers, and formerly and currently incarcerated people. Piper is a graduate of Smith College. She lives in Columbus, Ohio, with her family.